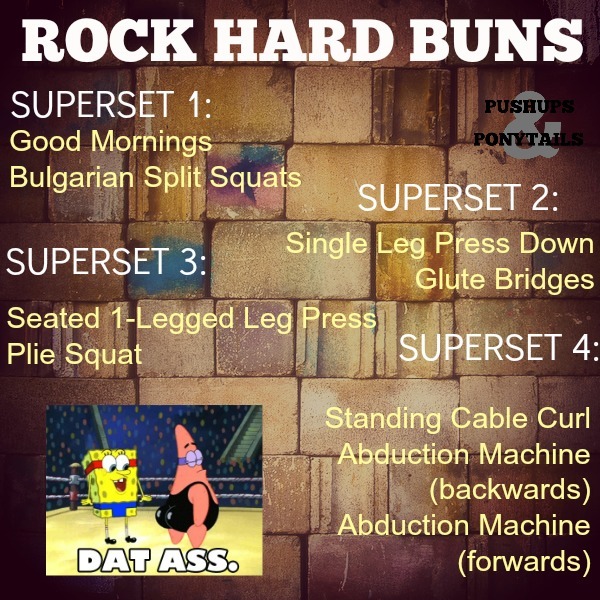 Here’s a new, fun glute workout for you guys. It’s a nice change up of the usual exercises, I think! It gets you moving around the gym, using equipment in different ways, and experimenting. Let me know what you think! I like that these are supersets, but I also know a lot of gyms don’t make it convenient to do so. Either way, I like to organize them into supersets if possible! And with all of these exercises, make sure you are driving through your heel to get the most glute activation!